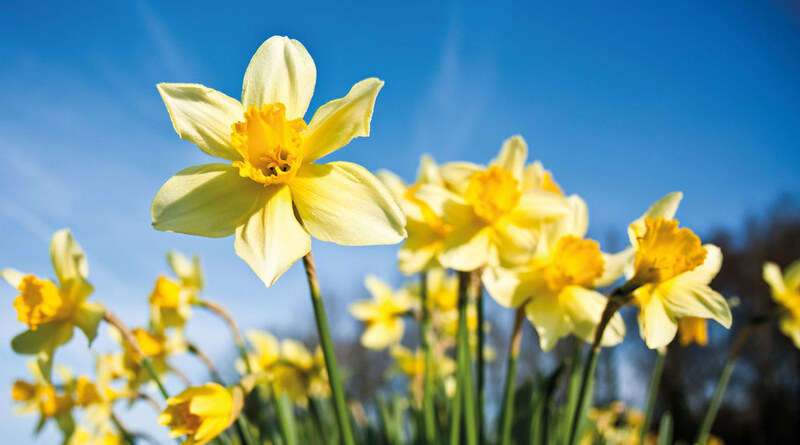 We're exploring how compounds derived from natural products found in daffodils could be used in potential cancer treatments. Daffodils naturally contain pancratistatin and narciclasine, which exhibit potent anti-cancer activities. Pancratistatin and narciclasine exhibit potent anti-cancer activities, but their extremely limited availability makes it impossible to obtain them in quantities large enough to be considered as viable drug candidates. Until recently, making these products synthetically required too many steps to be suitable for detailed biological evaluation and clinical development. But researchers in the Department of Pharmacy & Pharmacology have developed and published a new synthetic methodology addressing this issue. They are now applying this methodology to make new compounds which are closely related to the pancratistatin and narciclasine found in daffodils. This technique allows the research team to improve the efficiency of the process, while retaining the anti-cancer potency of the compounds. These synthetic routes are extremely efficient - requiring only two or three steps from cheap, commercially available starting materials - and can be synthesised on large scale. They are currently working on optimising the synthesis, and conducting biological evaluations to fine-tune the design - hopefully culminating in the identification and preliminary investigation of a lead compound for clinical development. A dedicated cancer research network facilitates interaction between departments and institutes to allow multi-disciplinary activities in the field of cancer research. The network provides a forum to enable discussion and collaboration between academics, clinicians, students, and interest groups. It promotes opportunities for interdisciplinary research and aims to promote awareness of cancer research both within academia and the wider community. The network currently includes around 40 researchers and a wealth of high-impact projects.